When you place content as a guest blog on someone else’s site, or even on your own blog, it is probable that you only think about linking back to things that you own, or are promoting. Whether you are creating content to drive traffic to your website and increase your pages’ Google ranking, or to promote affiliate marketing links, the idea of putting in links to things that aren’t technically offering you anything in return may seem a bit alien – after all, why would you want to give someone else free publicity when the purpose of what you are doing is to create publicity for yourself? Your blog may not have a following of millions and endless amounts of traffic, however if it looks like you have researched your sources well, then this will give a sense of credibility to the things you post. Linking to ‘authority’ sites, for example major news outlets like the BBC or CNN, or to sites that are regarded as leaders in their field, for example major tech blogs like Mashable, not only gives the reader a sense that you have done your research and are trying to help your readers find out more, but also helps you look like a legitimate source of helpful information to Google. Google doesn’t only care about how many links there are back to your site, but also how many things you link to and how popular these are. Just by associating yourself with well known, trusted sites, you are making your site seem more valuable both to readers and the technology that helps them find you. Posting your own links within your content can look a little odd, and a little like shameless promotion if you don’t link to anything else. If you are aiming for a more ‘softly, softly’ approach and don’t want to have your links stick out like a sore thumb, having them in an article with one or two links to authoritative sources as well can make things look more natural and encourage the human reader to use your links. While it may seem counter intuitive to be linking to sites that are already huge and aren’t giving you anything reciprocal in return for your efforts, the amount of trust it can generate and the way it will make your posts seem less promotional and more natural can be invaluable. Don’t overdo it and fill your posts with links to Wikipedia pages for every single thing you mention, but consider two or three well placed, helpful links per post alongside your own links. Internet addict and SEO and marketing expert Adam Livermore contributed this post. 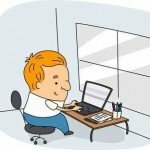 He is the marketing manager at Consult 3, a UK internet marketing and SEO company, and is very interested in the latest thinking on SEO and social medial promotion techniques. Cyberinsurance: What Is It and Do You Need It For Your Business?